Palm Grove is named after the piccabeen palm that grows abundantly in this section. 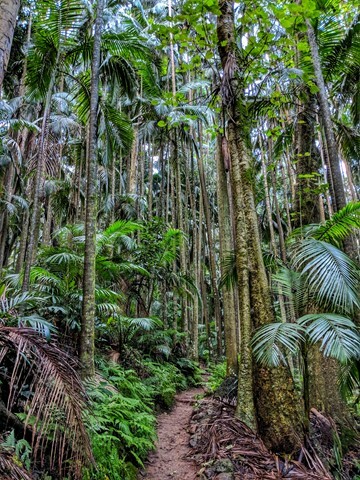 Explore the lush and diverse subtropical rainforest. Discover rainforest with emergent strangler figs, distinctively-buttressed yellow carabeens and fascinating fungi along the way. 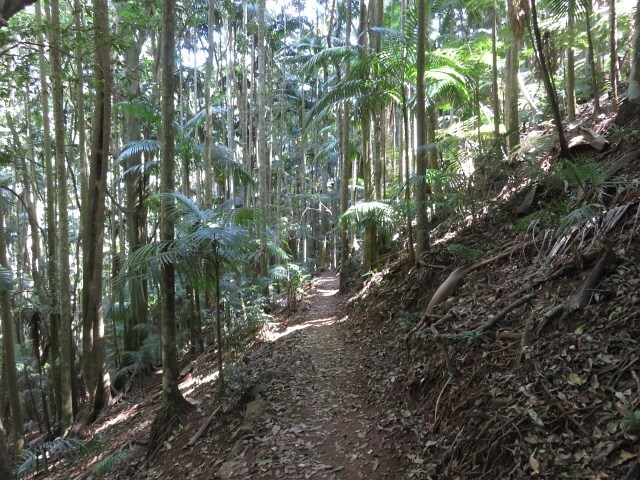 Jenyns circuit drop from 510m to 363m and leads out into drier eucalyptus forest and open canopy. 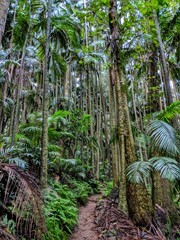 Here hoop pines, brush box and grey gums abound and you will pass through a grove of ancient cycads. Follow Eagle Heights Road to the southern end and then turn right into Palm Grove Avenue. There is a parking area and picnic table. There is also access from the southern end of Curtis Road, which is off Long Road. The track from the car park is well defined and at each junction is marked with an information board, so that you can re-orientate yourself and decide which track to take. Note that (2015) the two viewing platforms (one of Jenyns Falls) are closed for safety reason, as the cliff edge is very steep and fragile. 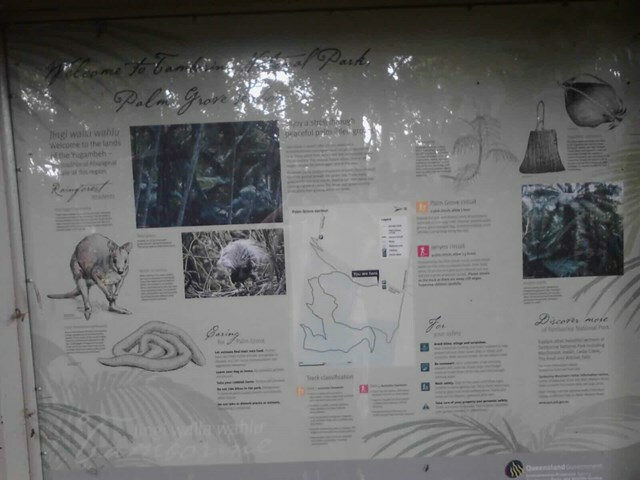 There is also the lesser walk of 2.6km around Palm Grove Circuit. 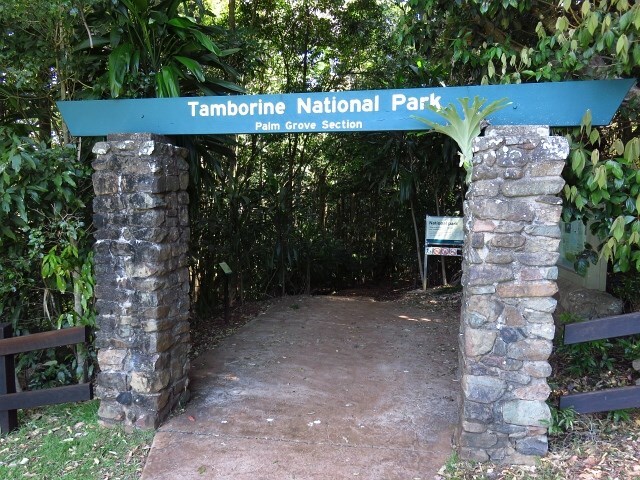 This is a lovely walk, so beautiful and not as popular as other walks in the Tamborine area. Despite being right before Christmas and on the weekend there wasn't another person on this walk which was really lovely. 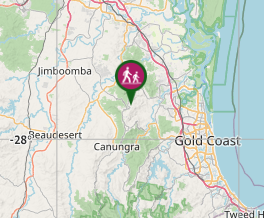 National Parks have renamed this walk to Jenyns Circuit as the side tracks to the falls and another lookout have been closed and I anticipate they probably wont be reopening as the comments from previously in this post looks like they have been closed for some time. That said quite an easy walk although today it was misty and damp under foot. 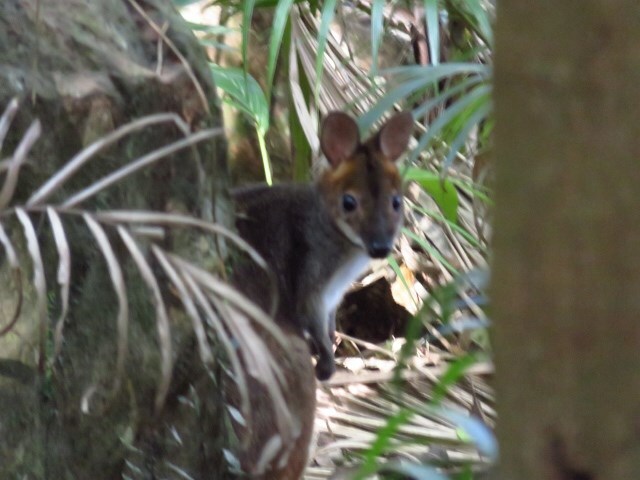 Saw Bush Turkeys, A small Wallaby and plenty of birds. The not so nice wildlife was the couple of leeches I picked up but I guess you should expect that on a day like it was. Perhaps the title of the walk should change as there are no falls to see. A nice walk but the side tracks to Jenyn's Falls and the lookout have been closed off (appears to have been that way for a long time). A bit disappointing. 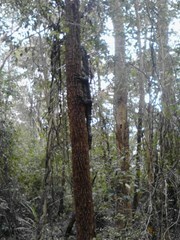 Besides this the rainforest sections and strangler figs were impressive. Enjoyed this walk. There are some really nice buttresses along the way as well as lovely picabean forest. The side track to the lookout over the falls is still closed though. 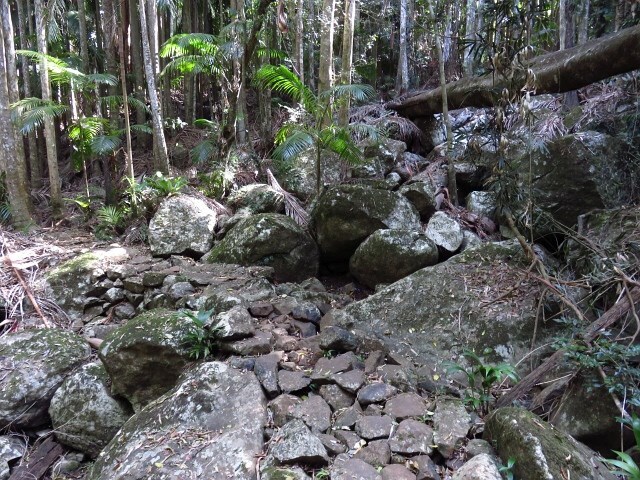 We walked this track after a night of thunder storms and it was interesting to note how the upper area was so wet and slippery, yet the lower area was completely dry. The buttressed tree were different to elsewhere on Mount Tamborine, as if needing them to cling the eastern mountain side. Lots of bird and animal life around, with a face to face with a huge goanna a highlight.